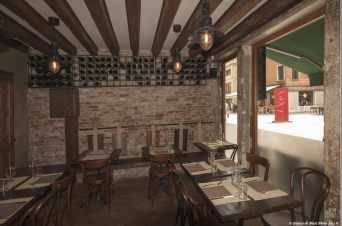 During the wine tasting in Venice daily we are offering you a wonderful opportunity to sample 4 of the most important wines in the Veneto region, accompanied by 4 different Venetian Ciccheti (Tapas), all served in the surroundings of this unique wine bar & restaurant. The region of Venice offers many of the best wines in Italy and if you are staying in Venice for just a few days and you don't have time to visit the vineyards directly, enjoy our wine tasting in venice daily! Once arrived to the "Osteria", known to the locals as a place of excellence, you can realize that it is surrounded with glasses & designs by local artisans, where the experience of drinking and also eating in a conscious way is critical with respect to the conventional ideas. This dynamic is due to Silvio & ?? that made a choice based on passion for the wines, care for the vineyard and intend “Wine” as the result of the fermentation of the grape alone, nothing else. Against chemicals and synthetic practices and preservatives in the vineyards 99% of the wines you will find here are free from these products. Its wine made from the Grape only. This is a wonderful opportunity to meet up with other people and get to know the locals, maybe stay for dinner. You may not find the large well known wine labels here but you will find an excellent “Osteria" where, after your wine tasting in Venice, you can buy wines to take away. 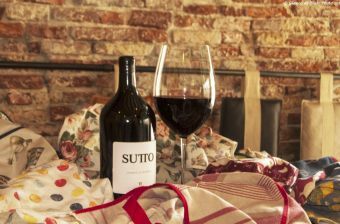 Sample good quality wines free from chemicals. You must make your own way to the Osteria. You must make your way to the Osteria.